DS MAX Properties Pvt. 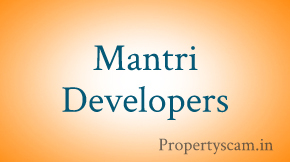 Ltd is Bangalore based real estate firm which has won many awards and accolades in the real estate arena. Dr. K. V. Satish, with a dream to enhance the joy of living across all sections of society, laid his first foot in the real estate arena. From the time, DS Max Properties was formed; they have been noted as one of the most accomplished and trustworthy realty builders in Bangalore. Their persistent efforts in striving for the quality management, innovation, our customer-centric approach, attention to smallest details and an adamant attitude towards quality in all the phases of their developmental process has made the company receive overwhelming responses from their esteemed customers always. In the past few years, DS MAX builders has grown to a large extent and has plans to venture besides Karnataka. 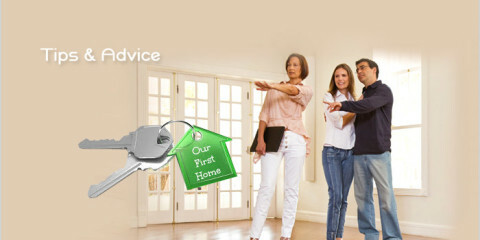 Right from enticing abode to our valued customers and identification of prime locations to delivering a perfect. The company basically competes with itself and tries to excel in itself. It strives to maintain award-winning quality standards which have made them a formidable brand amongest their customers. 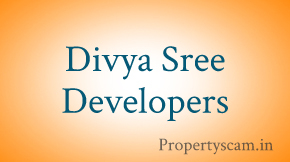 Request you to Post your Reviews on DS Max Properties Projects – Bangalore. I have taken flat in DS-MAX Savera flat No.264 E Block, initially I have approached many builders in Uttarahalli surroundings as I am very particular about location. Since last 12 years I am familiar to Uttarahalli location and would like to make permanent house in the same locality. When I was enquired with top class builders the prices are very high and not suited my budget, through one of my known associate I have approached DS-MAX and enquired about Uttarahalli location project, by that time they don`t have any flats left out in their ongoing project and they have updated that one more project coming near Uttarahalli bus stop, within short span of time I got call from DS-MAX office and updated me that Uttarahalli project namely DS-MAX Savera is going to launch and they have invited for Bhoomi pooja, accordingly I made my self free and visited, it was surprisingly matches to my budget and also good vastu oriented plan. My experience with them made me realise how in such a short span of time a builder can boast of having so many projects. From the beginning everything was well planned and documented. Our lawyer on studying the documents immediately approved it. All his queries were properly answered and clarified. Project construction schedules are well in advance and quality of construction is very good. Definetly will recomment DS-MAX to my relatives, friends as well as associates, in fact I did it. 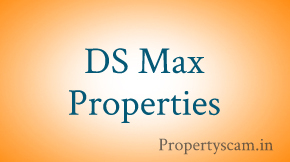 Hello guys DS Max properties is the great builders in Bangalore.Ds Max properties work honesty.its work increasing day by day.95% people built his apartment DS Max properties .Because DS Max 100%pure work.dx Max properties workers did not neglect his work.every person believe DS Max is real properties.its customer service solve any problem any time. His all staff qualification is very good.now we can depend our apartment DS Max properties. I purchased and occupied my flat in DSMAX STERLING during year 2015.and my flat no is 212A. I as a customr after one year the support I received from DSMAX is fabulous and remarkable.it is my experiences and expression from core of my heart I am mentioning . Very reasonable price compared to market had motivated me to take decession to purchase flat from DSMAX. This is the PROJECT for which we received OCCUPANCY CERTIFICATE and KHATA-A after strong determination and dedication, hard work by Sri Prasanna Kumar sir, CFO, DSMAX and his team.Really DSMAX is always customer focused and their deliverables is extremely FANTABULOUS.always they maintains time line to deliver the flats and other services before time.especially Sri PRASANNA KUMAR sir, who is part of management, he is very energetic and dynamic and customer focused entrepreneur I ever met till today.i am extremely happy and I would like to advise my friend s should associate with DSMAX and take a great experience in this life.Not only this DSMAX MAINTENANCE work is up to the professional standards and maintain s zero defect and zero effect principle to satisfaction of the customer s. Organized way of daily maintainability schedule keep s RESIDENTS of STERLING very safe and clean.Dsmax official s are very much interactive and Always inspired the philosophy of the company intigrity and eithics.No doubt I as a president of the DSMAX STERLING SOCIETY would like to give a great thank s to management and entire DSMAX for their support and given the way to live and lead our life in NOT ONLY SMART WAY BUT ALSO SPIRITUALITY it means balanced life between both.Last but not least Dsmax has been given me my sweetest home where I am feeling my heaven. I believe in the passion to support the philanthropic activities where DSMAX is associated in this holistic service for which I also contributed and felt proud Always.flat patni contest Organized by management in every year was stupindo FANTABULOUS. One year I was the PARTICIPANTS and felt proud after attending the contest along with chairman, Dr Satish Kumar.The repeatation word I rememberd from chairmsn Dr Satish was “Customer is God”.This was inspired me a lot in my life .I always happy with DSMAX and realizing the best decision I have taken to purchase flat in DSMAX PROPERTIES. Thanks again. BISWABHUSAN SAHU, FLAT OWNER 212, BLOCK A.
I BISWABHUSAN SAHU, FLAT NO 212, BLOCK A purchased a flat in DSMAX STERLING.High Quality of the work man ship, timely delivery, reasonable price strategy leads DSMAX increases the Customer base in the market.it is my experiences with the builder who obliged the feed back system in 360deg . Customer to builder and again builder to Customer is the 100% and close communication system make s me happy and confident for their future endeavors.No doubt I as a customr not appropriating their work only but also builders attentiveness to the complaints either Common or individual is extremely high.after sales service is important for any one who looks the things to buy.interior fittings are in high quality where the major satisfaction improves the builder s image.more importantly DSMAX STERLING GOT OCCUPANCY CERTIFICATEfor the STERLING project after the consistent SUPPORT by the management is really unbelievable.thanks for support by dsmax team.KHATA-A for individual flat is also a key factor of the builder providing to all residents.thanks again to DSMAX.i hope friends should associate with DSMAX and make successful, happy and good payback of their earnings in this. Hi everyone! I am Kishor and I have booked one unit in Stonehill projects and referred 3 more relatives in Dsmax projects. Initially I was a bit hasitated to move ahead with properties. And I heard about many branded builders like Puvankara, Sobha and many others. But I have lost my hope after I got the price quotations. A small 1080 sq/ ft was costing me nearly 1crore(including overall charges). So I have decided to drop the plan but by the grace of God I happen to get the advertisement from Times of India from Dsmax, I was shocked to see the price even in potential locations. I didn’t believe but I wanted to give a try, so I went to the project. And I found many more schemes and very transparent guidance from each and everyone whom I interact to. And I won a bike in Flat Patni Contest. Thank you Dsmax and God bless. Property wise it is good but if they force you that interior work can be done only by their interior designing team.I would suggest don’t go for it.As their interior team is very unprofessional towards their response and work. We got interior done for our properties .In few months only the interior parts were damaged and even after several complains followup they were not able to fix the issue and have suggested for some other options for the makeover.Even after agreeing on the makeover/repair of the interior they didnt get it done.Everytime you will call they will keep you telling that it will be done in another 2-3 days but problem remained same. Looking in the Market when there are so many builders available I wont suggest for Dsmax builders. DS MAX they might be pretty new to this field of Construction. But the number of projects they have completed in this short span is amazing. Its a clear indication of that they know what they are doing. Had visited their project in Malleshwaram, yes its done upto mark. They make homes/ flat in affordable rates, I guess that’s the reason they are growing. Downside is that they don’t have too many talented on site sellers. Have liked their other project in JP Nagar. Will definetly buy a flat there in couple of weeks. When I tried to buy flat in DS Max during 2013, I did stepped back by reading reviews about their reviews in the internet portals. But taken a call in 2015 again to buy in DS Max Seldon(Flat No.8). DS Max is closure to middle class people to make their dream true and their coverage is around Bangalore is great. Staff responses are really amazing. being secretary of this apartment I found them taking more responsible in order to ensure fulfilling our owners requirements and more supportive during maintenance period. Great team to trust and invest with lower price.! I am living in DS MAX SilverNest from last 6 years and our experience with them has been very good. From the beginning they were always there to address all our requirements and concerns. Unlike other builders who wash their hands off post handing over, DS MAX is a rare exception. It is the initiative and dedication of even their top management Dr Hons Satish like that is highly commendable. They are always available to address the concerns of their customers and value their feedbacks. No other builder can measure up to the service standards set by DS MAX. It is a matter of great pride for us too that they are launching so many projects and we wish them all the very best. We are proud to be a part of DS MAX family. I am Naveen Kumar proud owner of a flat in DS Max Springfield A 109 Myself and my family sincerely believe that one of the best decisions we have made in our life has been acquiring a flat in DS Max. We had booked the flat in Springfield and were handed over possession in Mar, 2017 exactly as per originally promised by the Company. There has been no increase –escalation in cost which has become the normal practice in the Industry. The quality of construction as well as the various bathroom and electrical fittings are excellent. Besides all minor issues have be resolved promptly. The projects of DS Max are approved by most of the leading Bankers and there was no issues in getting loan from the bankers. In fact most of the flat owners in the complex have availed loan from one Bank or the other. In fact we have no issues on complaints with DS Max and we are enjoying our stay in our newly acquired Flat. We positively endorse DS max for its quality construction, timely delivery and excellent after sale service. hi Naveen, great to know your feedback, i would like to know more about your experience now that you have been staying here for more than 6 months. can you please drop a note at my email blaze.shine@gmail.com, i visited the flat today and wish to proceed further. I smt Bhagyasree ., proud owner of flat No 019 in the apartment complex Signature built by M/s DS Max Properties limited at Hebbal, Bangalore. I would like to favorably endorse the Apartment complex SIGNATURE and also the builder promoter DS Max Properties Limited for the following reasons. 1. At the outset I would like to state the apartments are extremely affordable and value for money considering the high quality of construction, being centrally located in the city of Bangalore as well as for the various amenities provided. 2. Hebbal is a centrally located area, falling within the CBD of Bangalore having proximity to the International airport, railway stations both Cantonment and Yeshwanthpur. The area is also well connected to the rest of the city via ring roads . 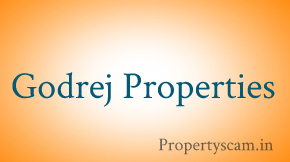 Important IT Parks, schools and hospitals are also situated in close proximity. 3. 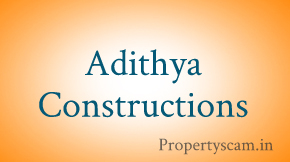 The flats are laid with vitrified tiles and high quality bathroom and electrical fittings. The layout of the flats have been designed with high class aesthetics and by providing adequate natural light and ventilation. Besides the quality of constructions and the materials used are of very high quality standards. The Lifts provided are of high quality and efficiency with all available safety features. 4. The living standards for the residents has been further enhanced by providing various amenities such as swimming pools, Badminton- Tennis courts, Children’s play area, club house so on and so forth. Adequate Car Parking both for the residents and visitors have been provided. 5. DS Max have kept up to their reputation of high standards and delivery as promised. In case there is any issue the company is prompt in resolving the same. They provide complete hand holding for customers seeking Bank Loans. The Project is approved by all leading bankers. The Registration process as well as other formalities are handled very smoothly and efficiently causing no inconvenience to the customers. The customer Relationship is handled very efficiently and professionally. To sum it the experience of acquiring a flat from DS Max is truly a pleasant and pleasurable experience. I am a doctor by profession, I was searching for a good residential flat which can fit in to my budget. After through research, luckily, I have seen DS Max Sandalwood project and purchased flat No 242 with in my budget plan. Three attributes, location, price& service makes this choice of selection unique. Affordable pricing, quality of construction and customer service by DS MAX is good. There are very few builders who handover your flat on time and we got handover well in time.Nearby metro station and ring road makes this project to connect with every part of the city easily. DS Max helped me in home loan sanction without any hassles. It’s a good investment in my career growth. My parents are happy to see me in a good well developed flat with all amenities. My relatives also liked this flat and ambiance. I strongly and heart fully recommend DS MAX and wish them all the best. Dr Deepthi. Flat No.242 DSMAX Sandalwood. Myself Arvindmuniraj owner of land properties surrounding northern part of B’lore. We have sold 1 acre land to DSMAX recent past. would like to share our soft experience with builder initially we have lots of doubts on builder, but the way they have scrutinised our land records is amazing and they have arranged to get all missed records through revenue department. Their staff are very supportive and they will not compromise on legals, until will get all documents they have not processed our file. The payment commitments given by builder is very prompt and we have seen somany builders and did transactions, but dsmax experience is excellent., we have planned to give some more lands to DSMax . We felt very happy during first transaction. This is Madhu from Blore and I am a satisfied and happy owner of DS MAX Savera Flat so far. Since 2015 I am in touch with DS max to buy Savera property, due to some reason I have delayed buying flat. Later I have decided after doing survey in and around Uttrahalli, for this price with the amenities, none of the apartments are ready to give or build the flats. When I had planned to buy a house, I have made enquiries with my colleagues, friends and also checked on web. Also visited nearby completed projects where my close friend bought the same group flat in different project and flat is very good, he is very happy too. I saw the construction quality of ds-max projects and checked about legal, vaastu compliant everything as per the plan. I felt to buy and then approached advocate for all checks done. Finally we got all approvals. We are eagerly waiting for possession and am sure we will get the flat well within the agreed timelines. We have no issues so far and happy too. very patient and humble staff. I am damn sure no other builder doing so, I myself heart fully recommend DS-MAX. I am software engineer recently I have posted in Bangalore then I have not any my personal home then I decided to purchase a house as my budget then I am in searching then luckyly I get D’s Max Group. It is a good service provider company and very politely. I have a shoft experience with them. Thank you David Max Group for my help. god bless u.